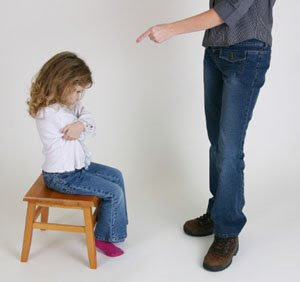 Dead Theologians: How Do You Discipline Your Children? Proverbs 19.18- Discipline your son, for in that there is hope; do not be a willing party to his death. I hear so much about how we should not spank our children these days. Many seem to be doing the "time out" thing as an alternative. Is it working? Or is it just making things worse? What about restriction? What is your choice of discipline when the offense demands some sort of action? What I have noticed is the ones who oppose spanking were most likely from a generation that were spanked themselves. Odd! I suppose we do a variety of methods, depending on the child and situation. Perhaps a more telling question would be what we do *not* do when discipling our children. Hrm, that's a short list of what I do not do, I was originally thinking there were going to be more items on that list. I dislike the "just wait until your father gets home..." statement, and so encourage my wife to stand on her own when I am not around. When I worked in an office, I did have her put the kids on the phone occasionally, which did work, amazingly enough. Now that I am working from home, I can watch my wife's methods more easily, and give suggestions - she tends to be quite compassionate, and so I think her disciplining has less of an effect, since the kids know if they can wait out anything for a bit, there is a much better comfort coming along shortly. So, he lay in bed for maybe another 30 minutes, before he was able to be under control for 10. During that time, I was with him for a couple minutes, and then he was alone for 2-5 minutes, trying to be calm. In each instance save one, he got a spank for screaming, and then I stayed with him for a bit, talking with him, praying for him sometimes, and then lying there quietly with him for a minute or two. Consistency is definitely the best thing going as far as any kind of discipline is concerned. I suppose some parents are consistently inconsistent in carrying out their threats, etc. but that doesn't work, and we see how much work the parents have to do with their children in the long run, when for us, a day like yesterday is a rarity, I can't remember the last time we had something like that - probably at least 8 months ago. And he has been more stubborn than his older brother - who only had a couple long times (30 minutes) a couple times in his life, when he was 18 months or so. And now that he is four years old, he rarely gets spanked any more, probably the most common discipline for him is to have him sit on the couch next to me quietly for a minute or two if he has been getting too rowdy and not thinking about other people. For our youngest, if he will respond to "look at me", when he is in a fit, the "battle" is over, that he will almost immediately calm down. On a semi-unrelated note, we know some basic sign language, and have made up some other signs (like calm down) and those help both from the child can see the sign from long distances, and also they can then communicate at a younger age. Our two and a half year old is not speaking much, and I suspect that contributes to his frustration, where our four year old spoke much earlier. Anyway, this is a topic I care quite a bit about, since I see so many parents struggling with children over the age of three or so, and it is hard to see. Not that I know everything, but our kids consistently get comments from other parents, or soon-to-be parents asking about how we do things, so I figure we must be doing something correctly. "Shepherding a Child's Heart" has influenced us some, and more so watching other families who try to put into practice parts of Tedd Tripp's advice. Our church doesn't have a Sunday school or anything, so the kids are with us during the service, and we routinely bring the kids to other sorts of meetings (basically, we never have a babysitter, maybe a grandparent now and then), and so the kids are used to being able to be quiet and pay attention to the content of the meetings. I think it is likely that lots of parents think their one year old couldn't come to an hour or two prayer meeting, and so the kid doesn't ever get a chance, or used to being able to do so. I won't go so far as Mike Pearl to say "give me an evening with your child, and he'll be obedient at the end" or whatever he says, but I suspect that our boys are just as rowdy as any other, and that any one or two year old can learn to control his temper, and calm himself down. And now, seeing the picture again at the top of this page, that scene has never been seen in our house. More often is the child sitting on our lap, looking at each other, talking with each other.